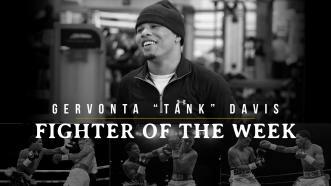 On February 9, 2019 Super Featherweight World Champion Gervonta “Tank’’ Davis defended his WBA 130-pound title with a first-round KO of former Super Bantamweight titleholder Hugo Ruiz on Showtime. 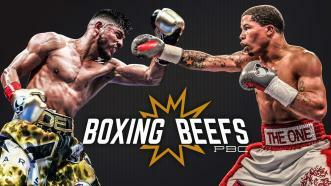 2x Super Featherweight World Champ Gervonta Davis defends his WBA 130-LB title vs former Super Bantamweight Champ Hugo Ruiz this Saturday night on Showtime Boxing. 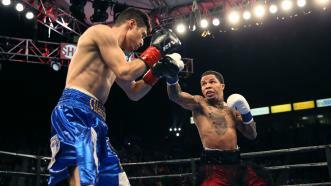 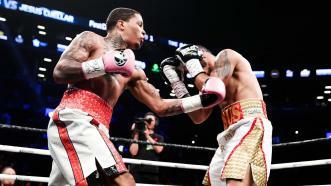 In the opening bout of the telecast, Gervonta Davis became a two-time world champion in emphatic fashion with a third round TKO of former champion Jesus Cuellar to capture the vacant WBA 130-pound World Championship. 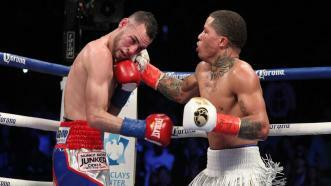 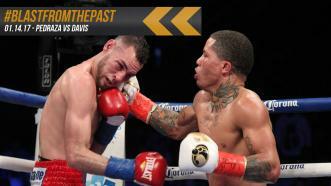 On Jan 14, 2017, Gervonta Davis made history by defeating Jose Pedraza to win the IBF Super Featherweight Title and becoming the youngest world champion in boxing history. 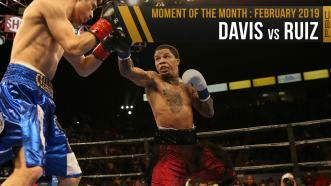 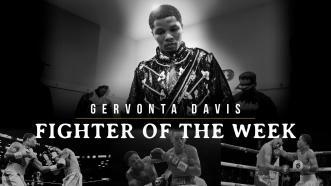 Fighter of The Week: Former IBF Champ Gervonta Davis fights to prove that he has what it takes to stay on top of the Super Featherweight division as he battles Jesus Marcelo Andres Cuellar for the 130-lb belt title in his next bout on April 21, at the Barclays Center.